This is a VERY tastefully remodeled, five star 2 bedroom 2 bath condo. The Iron Horse Resort, is a full service Ski Resort which has everything you will need to make your stay comfortable right on premises. There is an indoor/outdoor heated pool for the kids and 2 large outdoor hot tubs for the grownups as well as a health club with steam rooms and showers. A full service ski shop centrally located on the property allows easy access from every Iron Horse Condo. You can rent all your ski or board equipment including helmets, buy ski clothing or get a full tune. Washers and Dryers are available on the second floor of D building . If you have friends or family joining you make sure to inquire about smaller or larger condos that we have on the complex. We have everything from studios to 1500 square feet condos. We hope that you choose to stay with us, and make your next stay in Winter Park, your best stay! We had a great time at Iron Horse. The condo was clean and had everything we needed for a great weekend get away. We loved the ski in ski out and Corridor Run was a steep enough green to get skiers and snowboarders home easily! 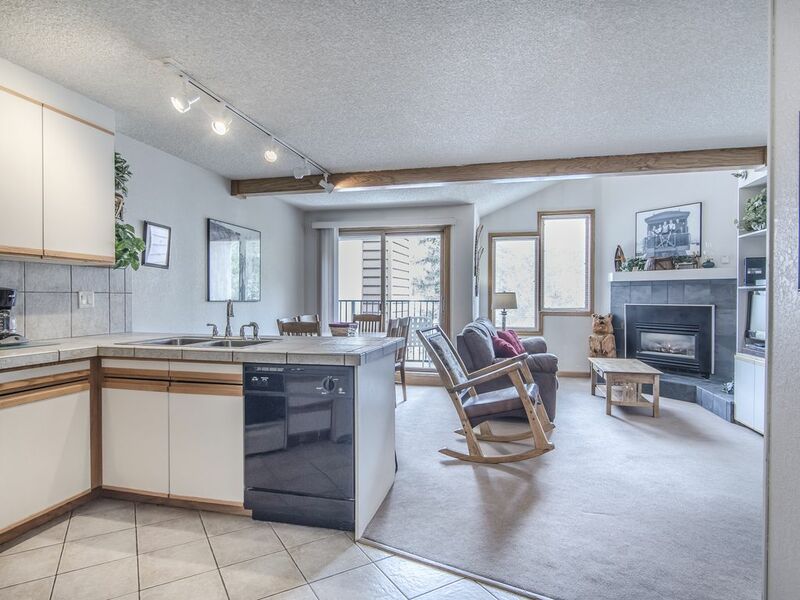 Small but quaint condo with the best accessibility to the ski slopes of Winter Park. Thanks for taking time to write about your stay. Happy to hear that you enjoyed your stay! My 3 adult sons in this unit. Would be very cramped for the advertised sleeps 9.Kitchen well equipped. Bathrooms needed soaps. Very easy access to slopes and garage. Management prompt with special requests. Exercise room great as was pool and hot tubs. Thanks for staying with us and for taking good care of our property. Happy to hear that your sons liked the condo. Will make sure that we get someone in to fill up the soap dispenser. Nice condo - clean, updated.